Dubai, UAE, October 08, 2018: Historically, the hospitality sector has had a dramatic impact on the environment through excessive energy and water consumption, creating vast amounts of both solid and hazardous waste. Economically, the challenge to battle these impacts has been based on myths that green and environmentally friendly operations are more expensive with tourists lacking consideration for sustainability and the local environment. 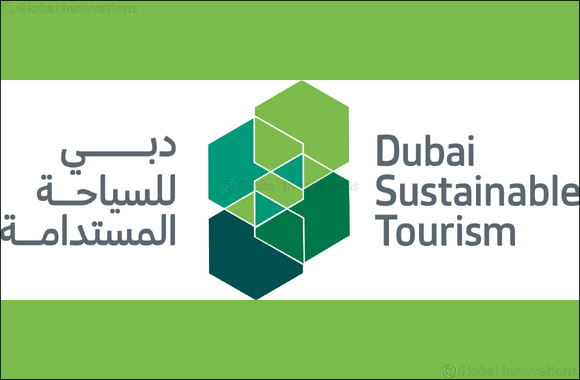 However, working to inspire change towards a more sustainable future, Dubai Tourism has actively embraced a model which helps to promote a greener, more environmentally friendly future with the ongoing Dubai Sustainable Tourism (DST) initiative – working with leading industry partners to inspire a paradigm shift. As such, it is becoming increasingly imperative for hotels and hospitality establishments to continue to expand their knowledge of sustainability to offer guests more choice when selecting hotels and destinations. This, in turn, can help nurture the sector’s growth with continued guest satisfaction while simultaneously reducing their impact on natural resources. The strategies developed as part of the DST initiative help to ensure the continual development of sustainable tourism, enabling hotels and hospitality establishments to harness their potential, and embark on a successful sustainable journey. Regardless of the property size or operational structure, DST’s strategic tools not only encourage cost-effective solutions, but also promote sustainable practices within internal operations. DST works with leading industry partners to encourage a city-wide implementation of the latest energy, water and fuel-efficient technologies that engage and empower hospitality establishments to integrate sustainability practices within their operations, with many realising immediate savings. This includes the Dubai Electricity and Water Authority (DEWA), which is committed to a long-term sustainable future for the delivery of electricity and water supplies across Dubai. While such government initiatives continue to lay the groundwork, it is also important that hospitality stakeholders play their part in driving conversation around sustainability practices and emphasising the importance of every sustainable contribution, big or small – be it through energy and water conservation, waste management or encouraging and adopting best corporate practices. In fact, eencouraging guests to consider the impact of their stay on the environment, while actively assisting them to play their part in more sustainable tourism is key for hotels that hope to consistently improve their environmental performance. Save electricity and promote energy-efficient ways of illumination by turning off unused lighting across the property. In fact, installing Light Emitting Diodes (LED) or Compact Fluorescent Lightbulbs (CFLs) in all the guest rooms further reduces energy consumption and costs. Keep the temperature low across public areas and save energy by keeping shades drawn during the day to avoid absorbing heat from the sun. Set thermostats in guest rooms to 24 degrees Celsius when occupied and in unused rooms to 28 degrees or switch them off completely. Ensure the installation of low-flow faucets, showerheads, and other fixtures that can reduce consumption during peak hours (12:00pm to 6:00pm). Equip guest rooms with high-efficiency in-room mini refrigerators, microwaves, coffeemakers, hairdryers, etc. Avoid placing equipment such as televisions, hair dryers, and lamps close to air conditioning thermostats. The heat from these appliances can affect the thermostat readings and increase energy consumption. Say no to straws, disposable cutlery and other ‘single-use’ products. They are not essential and will only end up on a rubbish dump, or worse in our oceans. Guests may not always recognize how many resources it takes to have housekeeping launder all of their towels and linens every day of their stay, and a small awareness campaign can put them in the know and engage them in your efforts. Operate washing machines and dryers, at full loads, at the hotel’s laundry area during off-peak hours, between 12- 5 pm from May to September. The staff can also reduce the temperature of water used for laundry from 85 degrees Celsius to 60 degrees. Near the fitness center, pool, sauna and spa, encourage guests to take only the number of towels they need to reduce their environmental impact. Encourage a comprehensive recycling program throughout the hotel, with hotel information to be displayed on screens rather than paper. Conduct regular community activities focused on environmental conservation, including city clean-up projects and community recycling days in honour of Earth Day and the UAE National Environment Day, eg. Sponsor a city clean-up initiative. Implement sustainability strategies by modifying hotel employee behaviour through ‘Green Champions’ who pave the way for an environmentally friendly facility.